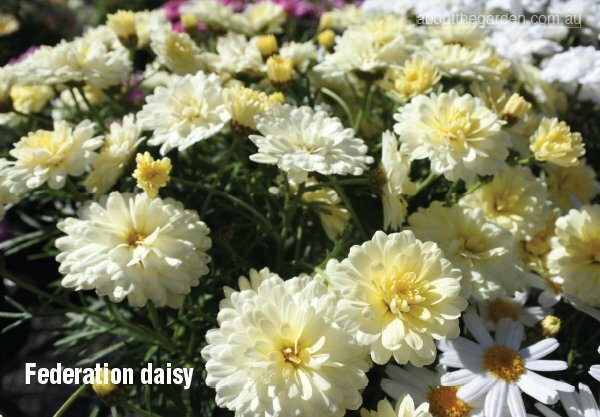 The simple daisy has managed to capture the hearts of all who venture into gardening. They are a member of an immense group of plants botanically referred to as the asteracea, (formerly the compositae) and can be found on all continents except for Antarctica. Although seemingly simple in appearance, daisies are actually more like two flowers in one. The main being the rosette of larger petals that surrounds a central disc filled with tiny (real) flowers arranged in tight whorls. It is within these tiny flowers that the stamens and pollen are to be found by visiting insects in search of a rich feed of nectar. The simplicity of a daisy flower ensures that it will always remain amongst the world’s most recognisable of garden flowers where it can be easily used in any style or size of garden. 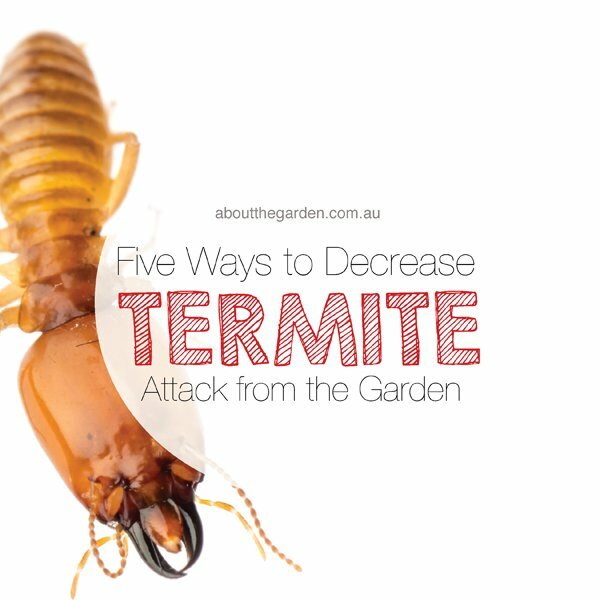 They are a beacon to most, if not all, forms of beneficial insect life as their shape is the perfect landing platform on which a butterfly or bee can spot easily from afar. 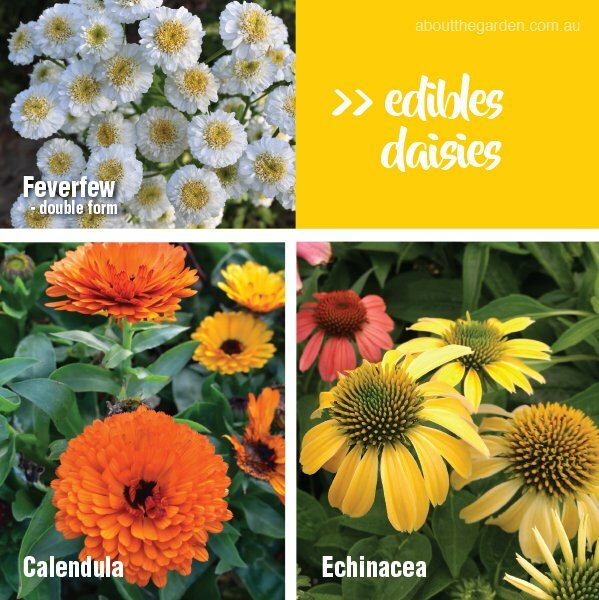 At this time of year, most garden centres and nurseries are filled with daises of all descriptions all equally vying for your attention in the hopes of taking up long term residence in your garden, balcony or patio. 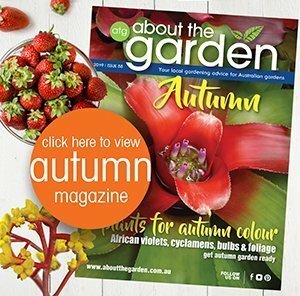 There are far too many to mention within the confines of this publication, but let’s look at a few outstanding members of this wide and varied family that can bring a burst of excitement to your outdoor living spaces. 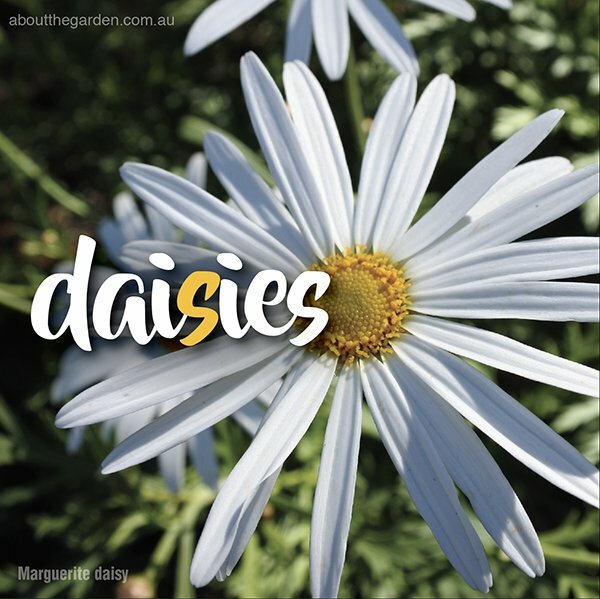 Marguerite or Federation daisies (Argyranthemum frutescens), remain a highly popular choice with many who enjoy cottage style gardens where they can fill in tight spaces with flashes of vibrant colour for months on end. Well adapted to our Australian climate, Federation Daisies enjoy a nutrient rich, full sun position that is well-drained yet not overly dry. The newer hybrid cultivars have been developed to remain compact in growth while the older forms can reach heights well over one metre. In warm climates, flowers are often produced from mid-winter until late spring, while in more temperate zones; flowering is extended from early spring until mid or late summer and colours include all shades of pink, cerise, yellow and of course, classic white. 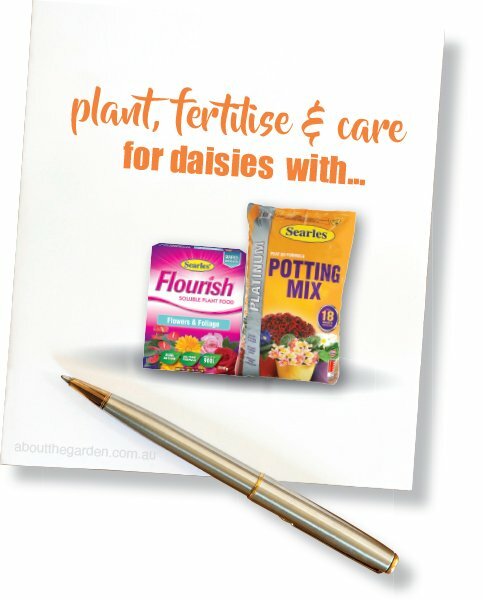 A light prune by one third is advisable as they enter their final stage of flowering and a generous application of dolomite to help sweeten the soil will keep them happy over the summer. African Daisies (Osteospurmum) are the heralds of spring. Also known as the flower of the Veldt in their native South Africa, they are often confused with their (short-lived) cousins the Dimorphotheca. No matter what you call them, their vibrant flowers provide a show that simply lights up a garden. 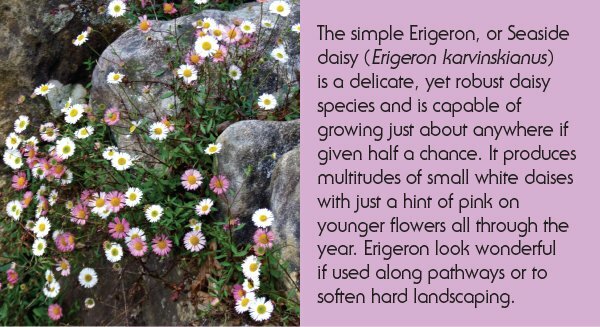 Although similar in appearance to the Marguerite daisy, African daisies are tough contenders in the garden and can withstand growing in difficult sites including steep slopes and coastal gardens. 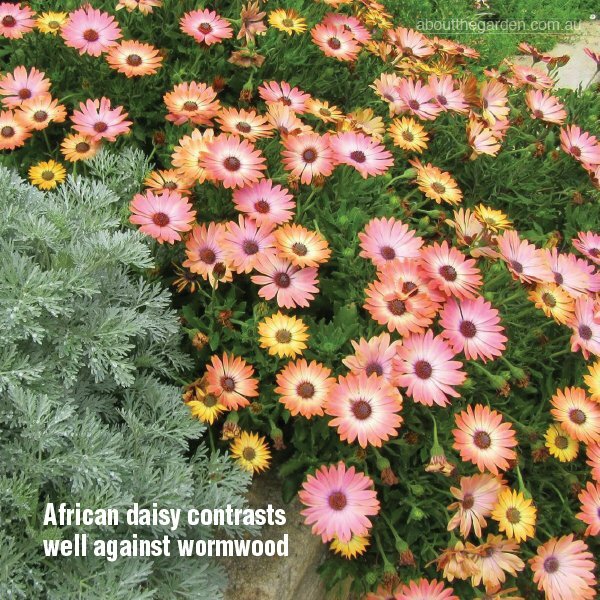 For those in warmer parts of the country, the African daisies are often the better choice for long-term enjoyment throughout our heat-filled summer months. Flower colours range from the deepest violet purple, lavender, white, lilac and lemon yellow, with many sporting an interesting double toned effect with each outer petal boasting a slightly contrasting colour tone on its underside. The humble Gazania (Gazania rigens) has graced many gardens now for what seems like generations and has become almost overlooked as one of the most floriferous species that can bring charming colour while providing a living mulch to carpet the ground and help in the control of weeds. There are two distinct forms you can choose from, one that makes tight clumps and another that produces aboveground stolon’s or runners that take root as they spread. This latter form is especially useful at filling up vast spaces in the shortest period of time, while the clumping forms can be easily used as an attractive garden edging. Gazanias are fully capable of growing on steep sites, exposed coastal conditions or anywhere that requires filling with low care and maintenance choices. 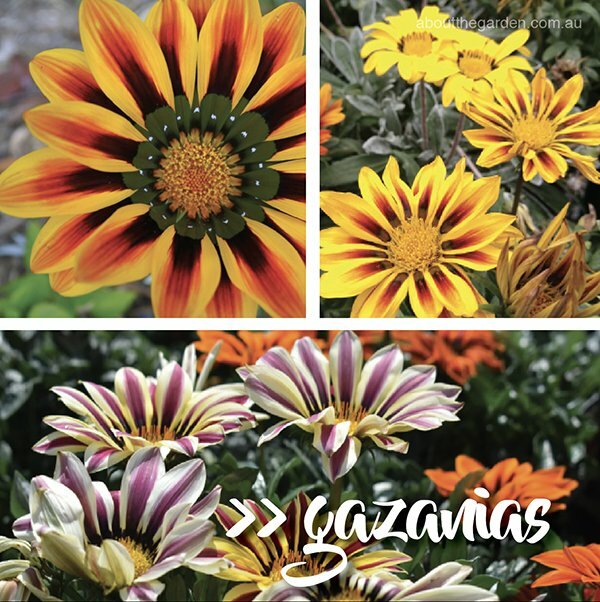 Take the time to peer closely into the face of a gazania, and you will notice a rainbow of colours that extend from the tips of the petals right into the central eye-zone of the flower. The more sun you allow your gazanias to bath in, the better and stronger they flower. Avoid wet or shady sites as this will only slow them down and can cause the crowns and roots to rot. Sometimes it’s not all about long-term in the garden and two exceptional annual flowering daisies truly tug at the heartstrings. I don’t know of anyone who frowns when looking at a sunflower. As one of the most recognizable of all daisies, the sunflower (Helianthus annuus) is a joy to have in any garden. Easy to grow in any well-drained sunny corner, they are best grown from seed directly sown into position. Once germinated, they often take only a few short weeks to flower from when they first appear as seedlings. These days colours extend far beyond the sunny golden yellow and can be seen in autumnal shades of bronze, cream, mahogany, orange and mixed shades of all the above. 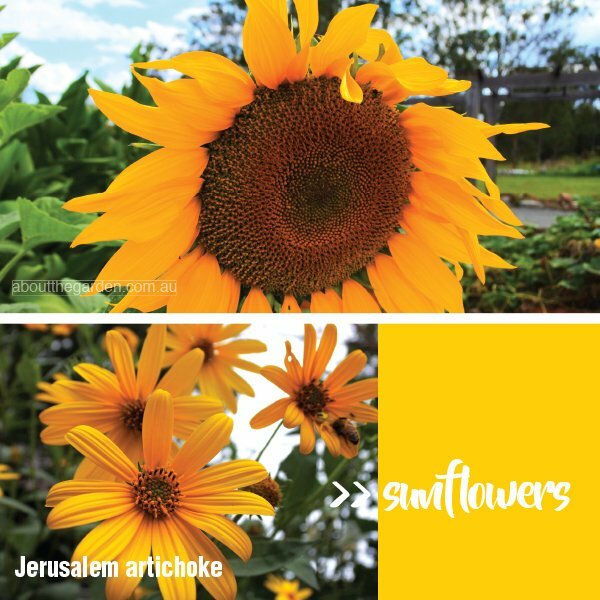 Bees simply adore sunflowers when in bloom so are perfect choices for adding a spark into productive gardens and of course, they make exceptional cut flowers. Sunflowers are an easy way of enticing young children to garden as they see their efforts quickly rewarded while always being excited at the larger than life blooms. Another member of the sunflower family is the Jerusalem artichoke (Helianthus tuberosus). This North American native is not to be confused as a true Artichoke nor is it from Jerusalem! This is an easy to grow member of the daisy family that can reach heights of over two metres yet unlike most sunflowers, hold many (smaller) heads of golden yellow flowers all at once during late spring and well into summer. They form clusters of edible underground tubers that resemble small potatoes that are simply delicious when dug up each winter when the plants become deciduous. Replanting some of these tubers will ensure further yields the following winter. Most daisies are not renowned for any level of perfume, yet Jerusalem artichokes have a unique scent of milk chocolate and will attract a wide array of beneficial insect life into the garden while also making a good choice as a cut flower. 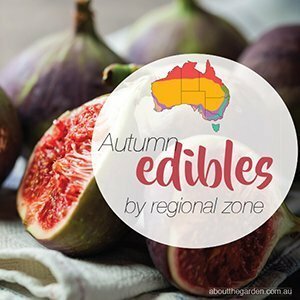 Due to their height, they should be planted towards the back of garden beds where they can form a delightful backdrop to other plants and can sometimes require staking if your site happens to be windy. If nostalgia is high on the agenda, then the addition of the old fashioned Shasta daisy (Leucanthemum × superbum) should be a definite addition to your garden. This spreading perennial is now available in both dwarf and taller forms and makes excellent cut flowers with their clear white discs that shimmer in the sunlight. Provide Shasta daisies with enough room in full sun to light shade to make strong clumps so the flowers can be held high above the rich apple green foliage. Flowers usually appear (depending on cultivar) from late winter through to early summer and are a favourite of butterflies and bees of all kinds. Finally, keeping with the ‘productive’ theme, many daisies also play a strong role in the world of herbs. Three in particular are Echinacea (Echinacea purpurea), Calendula (Calendula officinalis) and Feverfew (Tanacetum parthenium). Echinacea is native to North America where is it is a wild flower of the prairies. It is a clump forming (short -term) perennial that forms tall eye-catching magenta flower heads that are long lasting and have a stiff central cone that butterflies find irresistible. 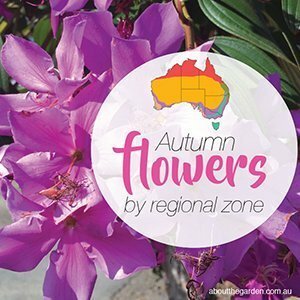 Flowers are primarily formed throughout the warmer months in temperate zones yet can be witnessed flowering at any time of the year in warmer climates. Echinacea enjoy a slightly alkaline soil in full sun for best results and can look incredible if mass planted in amongst small, soft grasses and other gentle perennials such as Gaura. Calendula is a seasonal annual that enjoys the cooler times of the year for strongest growth and doubles up as having tasty, edible flowers in shades of deep orange, gold and apricot. Calendulas are great as additions to the vegetable garden where they can bring bright colour and interest while helping to deter many marauding insects away from other prized plants. 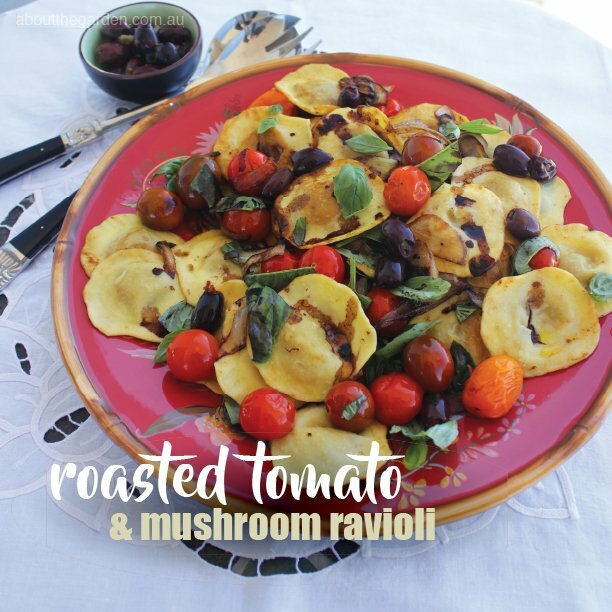 They look equally as charming and content if grown in simple terracotta pots and placed on steps or balconies. Feverfew is all too often overlooked by many as a desirable addition yet deserves to be seen as a highly useful plant in all gardens. Not only do the clusters of creamy white flowers look very attractive scattered amongst other flowering plants, but they bring a very large amount of natural predators and useful pollinators into any sized garden. Upright sprays to sixty centimeters of delightful small daises are formed all through spring and summer from fragrant foliage that seem to last for weeks on end and can be used well as cut flowers. Feverfew is not to be confused as Chamomile (which is also a daisy) as although it does have edible qualities, makes a very bitter tasting tea. It must be noted that although Echinacea, Feverfew and Calendula all carry strong (useful) medicinal qualities, it is not recommended that these be used as home remedies unless under the strict guidance of a qualified naturopath or herbalist.